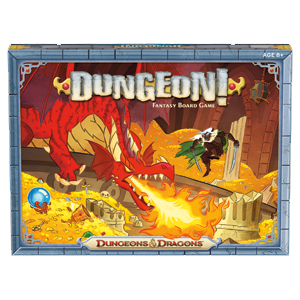 Want to play the Dungeon! 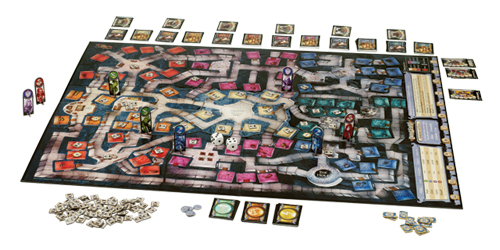 board game cooperatively? Are you a new sleep-deprived and overworked parent wondering if life will ever get better? Let’s talk about both! Each person chooses a class. You add up the total treasure value for each character: everyone has to work together. You keep treasure on your character, but the moment the total across all players meets the total needed for all classes, the group can head back to the central chamber. If two players are in the same chamber or adjacent to each other, you can trade treasure as your action (can’t have monsters in the room/chamber). When all monsters in the central chamber are defeated, everyone wins. Everyone loses if the number of deaths equals the number of players + 2 (adjust this to taste… sometimes we drop this rule completely). The cooperative variant is a lot of fun with kids. Gaming Parents: Hang in There! I will never forget how hard I worked as a parent when my kids were babies, toddlers, and for several years after that. It felt as if every ounce of energy, every hour of sleep, and every moment of time usually spent on gaming… was now devoted to them. It was always wonderful, but also exhausting. At the height of my sleep deprivation one of my friends said, “look, it gets better. I wake up these days and the kids have already made breakfast.” I needed to hear that, and maybe you do too. 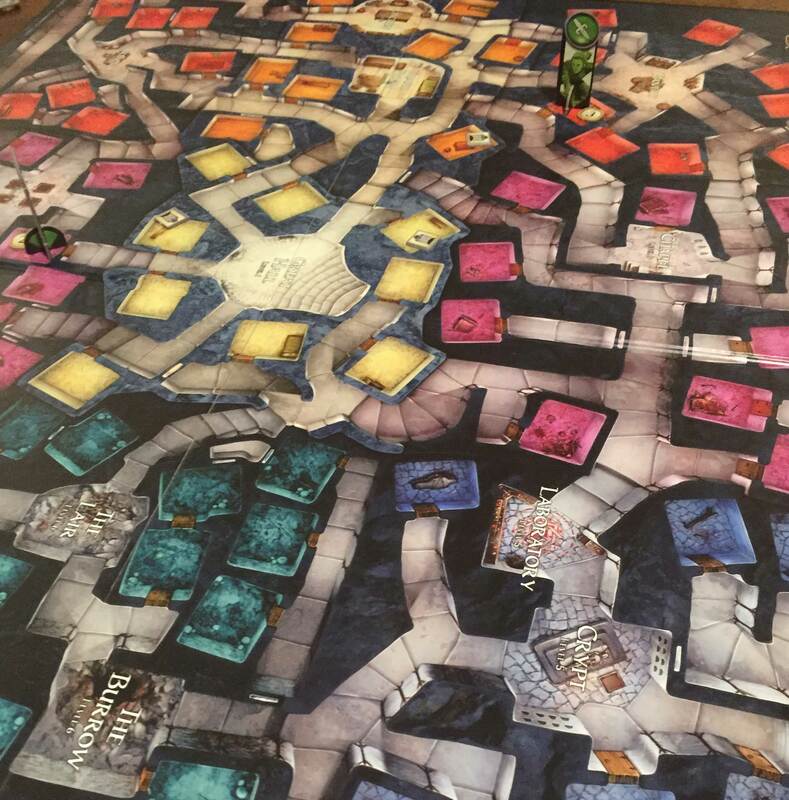 Last night, my son wants to play Dungeon! We have a blast. Daughter decides we should all make omelets, so we all start cutting up ingredients, taking turns cooking, etc. Much fun! Wife heads off for much-deserved time away with friends. Son demands a lightsaber fight. He wins, because the force is strong with this one. 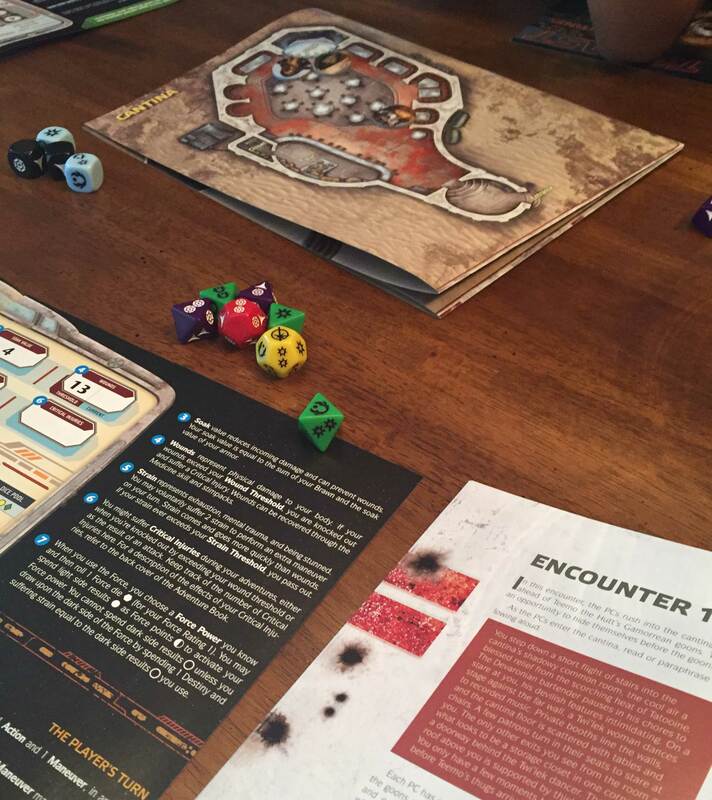 Son plays Dungeon! solo while I shower. Daughter says she wants to play later, finishes her book. We go to nearby park to get pond water so daughter can look at it with microscope because she liked doing so in school. We run around the park’s trails, get water. Drop by area diner, have great lunch. The table is left reasonably clean. Come home, look at pond water. We decide to play the Star Wars FFG RPG, invite neighbor kid, play for 1.5 hours. They play 30 min of Minecraft while I write this. Son wants to create a basketball-type game in Minecraft. We will watch Empire Strikes Back. We will make burritos and they probably will help cook and clean. They will make a reasonably tolerable amount of demands at bed time, but then stay in their rooms. Life is good. That’s a darn great day. Not every day is that good, but many are. And the days where I felt completely overwhelmed are past. That hard work paid off, and it will for you too. If you work hard your kids will be great people, great gamers, and it will be a ton of fun (and you will get sleep). Hang in there! This entry was posted on November 15, 2015 by Alphastream and tagged Kids.